As soon as the temperature drops outside, there is a substantial decrease in the amount of moisture and humidity inside as well. This moisture can be replaced with the help of a warm or cool air humidifier to protect you from a variety of physical discomforts, like chapped skin, allergies, and even the symptoms related to cold and flu. However, you also need to make sure that the level of humidity doesn’t rise above the healthy levels as it will again result in a host of problems, like growth of bacteria, mold, dust mites, etc. You need to make sure that the balance is just right. But with all the different types of options available in the market, choosing a humidifier can be literally very confusing even for people who have already purchased a dehumidifier in the past. To help every individual who wants to maintain the humidity in their home, we have created this best humidifier buying guide. Right from the types of humidifiers to choosing the right size of humidifier to all the other considerations, this humidifier buying guide will cover everything in detail to ensure that you are able to make an excellent buying decision in no time. Humidifiers can be broadly divided in two different types- Cool Mist and Warm Mist. While the job of both of them is to increase the amount of moisture into the air, the process in which they do it is different. 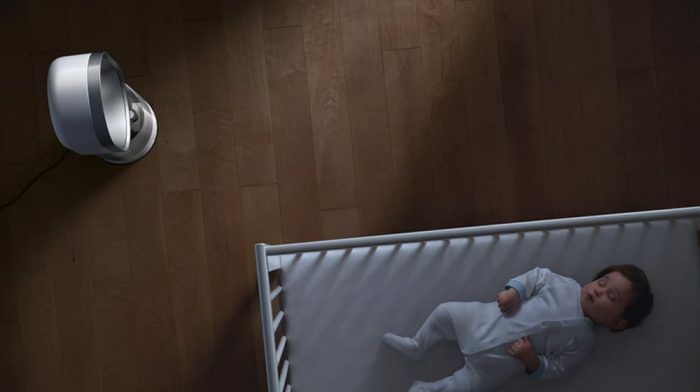 While there is also another category, known as whole-house humidifier, they are complex units that are tapped in the air ducts and are plumbed in the water supply of your home. They generally need professional installation and thus, this post will focus only on Cool Mist and Warm Mist humidifiers. These humidifiers are further divided into three categories- Ultrasonic, Impeller and Evaporative. The ultrasonic models make use of vibrating nebulizer for emitting water. Impeller models use rotating disk and the evaporative models make use of a fan to blow the air over a wick that is wet. Based on the model, the cost of this wick can be around $10 or more. 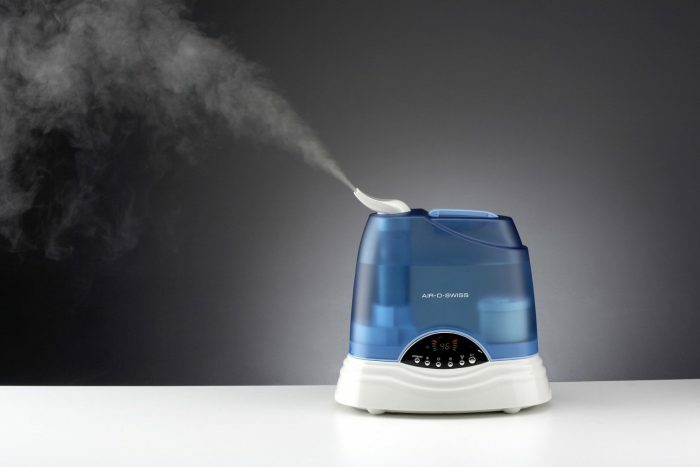 This type of humidifier heats the water and brings it to a boiling temperature for emitting the steam that is formed. Some of these models feature mineral filters for trapping the water deposits. While purchasing this type of humidifier, remember that you will be required to replace the filter periodically. The filters are generally inexpensive. Some of the paediatricians suggest that these humidifiers should not be used near small children as they can result in burns. In this part of this best humidifier buying guide, we will talk about an important consideration while buying a humidifier- its size. Generally, it is recommended that the humidity indoors should be between 30% and 50%. But if there is no humidification, these levels can drop up to 10% in the winter months. This is because, cold air is not able to hold a lot of moisture and they dry out further when the room is being heated with the help of wood fire or furnace. The size of humidifier you need can be determined by measuring the area of the room in square feet. The depending on the size, you will have a full gamut of options to choose from. Let us have a look at the different types of humidifiers suitable for rooms of different sizes. If you have a small room of about 300sq.ft, there is no need to invest in a larger, expensive model. A small portable model will be enough. Just make sure that the one you purchase is from a good brand. For medium sized rooms between 300 and 499sq.ft, a portable or tabletop can be an excellent choice. However, they generally have small tanks and you will be required to refill them regularly. Moreover, also make sure that the refill tank can be easily placed under the bathroom faucet. For larger rooms, a console-type model can be great. These are generally portable and can be easily moved between rooms. No matter if you go for an ultrasonic or evaporative model, they are able to produce vast amounts of moisture. A lot of people prefer buying ultrasonic models as they are quieter. As a matter of fact, there are some tabletop warm-mist models that do not make any noise apart from the hissing and boiling sounds. If you have an area that is larger than a 1000Sq.Ft, go for a console-type ultrasonic model. Or you can also go for the evaporative model, but make sure that you place it away from your sleeping area. Console-type models have a larger tank and thus need lesser refills. However, if you are going for an evaporative model, remember that they make a lot more noise as compared to ultrasonic models. It is not necessary that your humidifier should look banausic. There are many attractive-looking models out there. But while going for a model with a lot of bells and whistles, remember that the form should be followed by function as well. While picking a humidifier, try to focus on the area you have and the features that you need in the humidifier. But what are the other things that you need to look for? Don’t worry! They too are discussed in this humidifier buying guide. It is very important to clean the humidifier regularly to ensure that it functions flawlessly. So, while buying one make sure that the model is easy to clean and maintain. Drain the machine, rinse it and then dry it before switching it on daily and if there are any visible residue on the machine, clean it with vinegar and then follow it with a bleaching solution for disinfecting it as per the instructions of the manufacturer and then thoroughly rinse it. Remember to do this before and after storing away the humidifier for the season. No matter if you are picking a console model or a tabletop model, it should be easy to use, move and clean. The water tank should easily fit under the faucet as well. If you are going for an evaporative model, make sure that the wick is easy to find, replace and is not expensive. All the humidity settings and levels should be clearly visible as well. Some of the humidifiers have built-in humidistat that turns off the unit when it reaches a pre-set level of humidity. The models that do not have humidistat can raise the humidity to an extent where you’ll have condensation on the windows. But even if you want to go for a unit that doesn’t feature a humidistat, you can always purchase a small hygrometer separately to keep a track of the humidity level and then manually turn off the unit when the required level is reached. As mentioned above as well, ultrasonic models are a lot quieter than evaporative units. 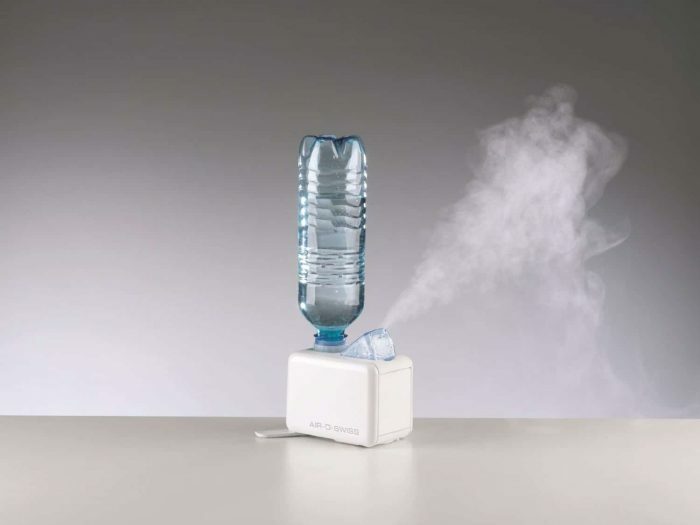 Even the warm mist humidifiers are louder than ultrasonic models, but they are quieter as compared to evaporative models. It is important to choose a model whose water reservoir can be easily removed. Wide reservoir mouth and handle to carry the tank are added benefits. 6. What Kind of Water Is Supplied to Your Home? If the supplied water is hard, you will need a demineralization filter along with the ultrasonic humidifier to reduce the dust of minerals in the water. While some of the units come with such filter, with many others they are an optional accessory. Also, make sure that you replace the filter periodically. Humidifiers do not generally require a lot of maintenance. You generally need to only clean its water tank to make sure that mildew, mold and bacteria are not growing in the tank. Also check the misting outlets to ensure that the mist can flow smoothly. While these are some of basic maintenance requirements of almost all the different types of humidifiers, there are some cool-mist models that feature a wick filter for creating a soothing blanket of mist for the surrounding. These filter needs to be replaced periodically. Also, make sure that you go through the manual that comes with the humidifier to know more about its maintenance requirements. Also check the warranty that comes with the humidifier you choose as the manufacturer will only repair the unit or get its part or the entire unit replaced for free within this period only. Generally, the warranty should atleast be for 2 years. This brings us to the end of this humidifier buying guide. We hope that we covered all the important aspects of a humidifier and now it will be much easier for you to buy a humidifier for your home.